I have been diagnosed with Ehlers Danlos Syndrome (Hypermobility Type) and Dysautonomia. Dysautonomia has been the thing that has forced me to considerably change the way I live and work. After having gone through massive life change myself, I wanted to combine what I had learnt, together with my coaching experience, into something that would help others in a similar predicament. I was also very keen to develop something that was an affordable alternative to conventional life coaching, since finances often get impacted when you become ill or when life changes. I am really passionate about helping others and wanted to continue to do so with something that suits the way I now need to work and that is also readily accessible for people who may not be able to afford or get out to see a life coach. To me purpose is a bit like the hand on the rudder of a ship. Steering you to a destination of your choosing. If the seas get rough, the strength of that purpose will steer you through. If it's not strong enough, it could result in you turning back or meandering your way to another place. You know, the easier place of least resistance. 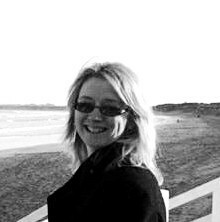 I manage my own blog thedailymanic.com aimed at providing support to those who wish to slow down – whether due to illness or just to escape the madness that is life! I am also a trained change coach by trade (my business is called thechangeplace.com.au) and I’m now converting a lot of my knowledge into online products that hopefully should make it easier for me to contribute towards something I am very passionate about. 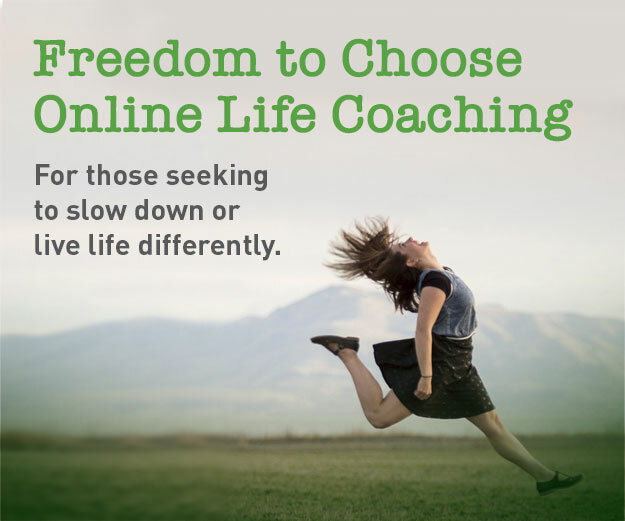 The project that I have recently launched is a self-paced online life change program called Freedom to Choose which is for anyone who needs to slow down or live life differently. 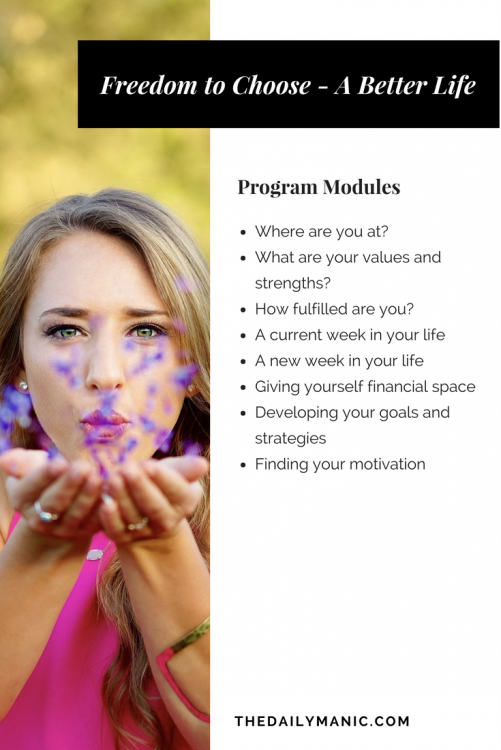 It’s a 12 week (or thereabouts) program aimed at prompting reflection on how you are living your life currently and identifying a new vision to aim for. The program is available for purchase for USD $60 (or make an offer!) which includes membership of a Facebook coaching group and support via Messenger group (both managed by me). Note: Jayne has generously offered to make a donation from any product purchased through her ebay shop. Thank you Jayne for your support of DINET.